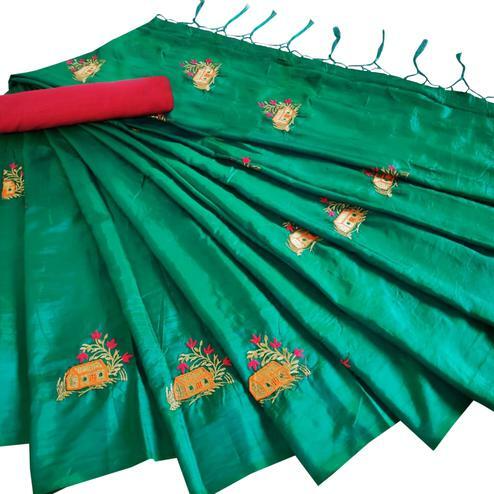 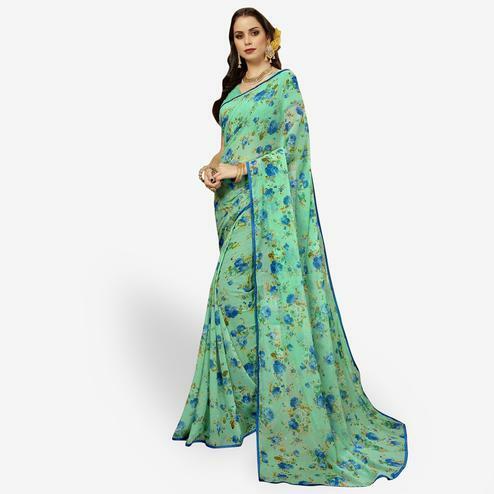 Grab an ethnic look on your festivals wearing this turquoise blue ghicha silk saree. 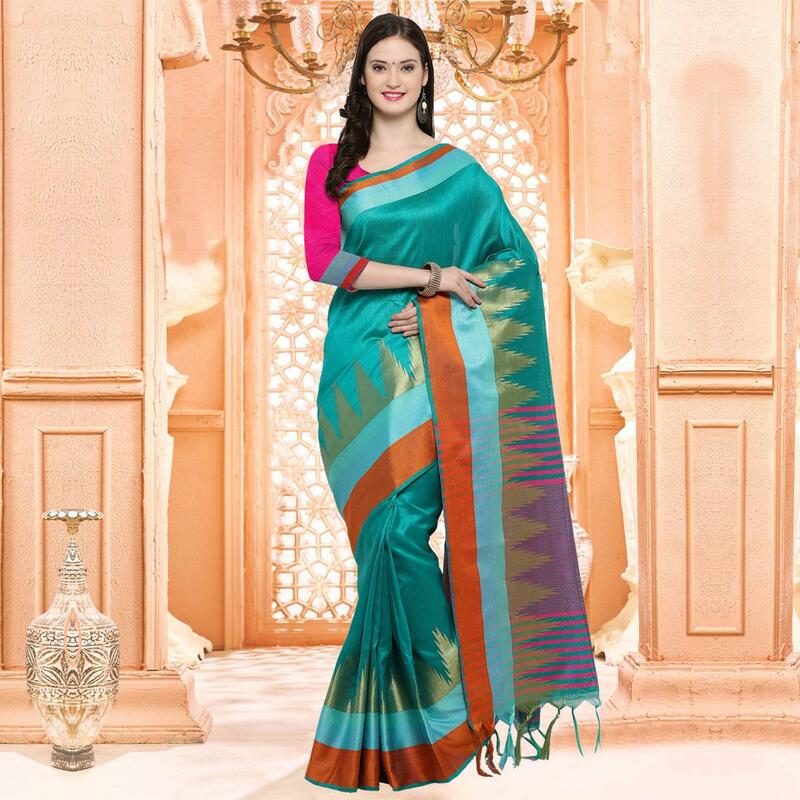 This traditional design saree has got temple motifs having tassel design at lower end of the pallu, geometrical design stripes and solid border containing weaving work. 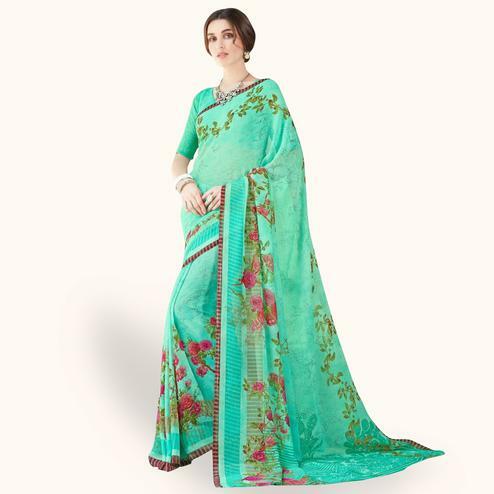 Saree paired with unstitched ghicha silk fabric blouse piece having matching motifs and border.